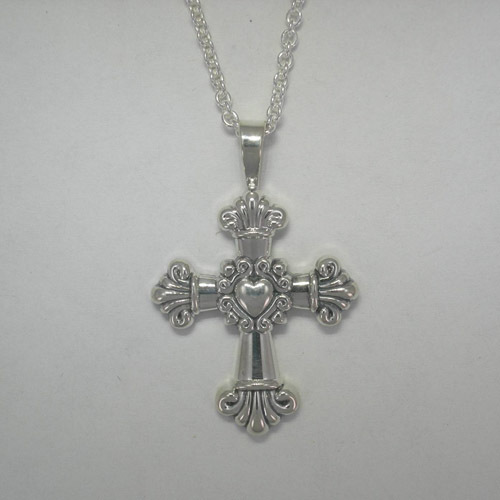 Desc: Sterling Silver ornate cross necklace. The chain is a rope style link and has a spring ring clasp. The cross has a heart shape in the center with scrollwork around the heart. There is a fleur de lis design at each end of the cross. The necklace has a bright polish finish. This necklace is made in the United States of America.